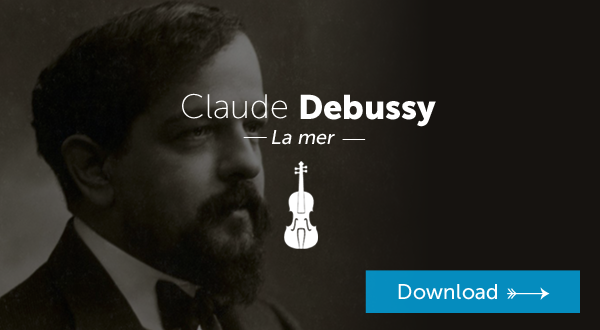 This week’s download features La mer by Claude Debussy (1862–1918). This symphonic suite includes three movements, each depicting a different sea scene: “From dawn to midday on the sea,” “Play of the waves,” and “Dialogue between wind and waves.” Debussy completed this work in 1905 at the Grand Hotel is Eastbourne, East Sussex, the same town where Frank Bridge completed his symphonic tone poem, The Sea, six years later. This recording is performed by the Orchestre Philharmonique des Pays de Loire under the direction of Marc Soustrot. In the Open Music Library, authorized users can view the full score to La mer, available from Music Online: Classical Scores Library. 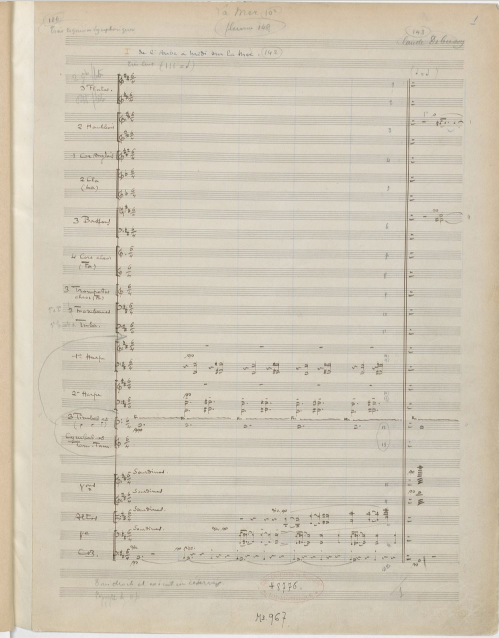 Also available to all users are Debussy’s autograph manuscripts and several video performances, including a masterclass in which Ludwig Quandt (First Principal Cellist of the Berliner Philharmoniker) coaches Henry Shapard on La mer. To receive an email notification every time a new download is available, please complete the form below.